Rarely has the elite men’s time trial been anticipated with such excitement at the world championships as this year’s edition. Thanks to a mouth-watering line-up of household names at the peak of their powers, 2013 sets to be one of the most competitive time trials in years. At a leg-sapping 58 kilometres, Tuscany breaks the trend of very similar lengths in the elite men’s time trial with the longest route since the race’s inception in 1994, and the first since Salzburg 2006 to last over 50 kilometres. Whereas the road race route offers a very challenging parcours, the organisers have left out any hills in the time trial. As such, the specialists ought to come to the fore in a time trial that will favour the big, strong riders able to generate the most power over a long distance. The last few weeks have seen the best time trialists in the world each produce ominous performances in the run-in to Wednesday’s decisive showdown. 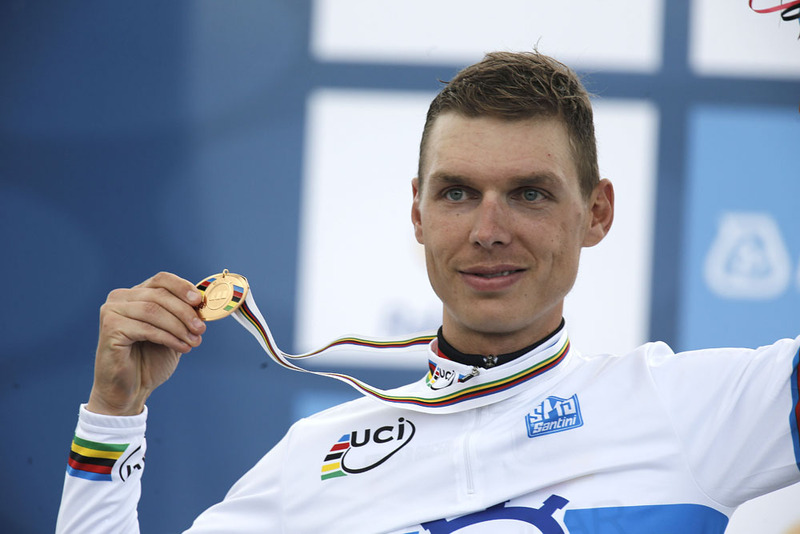 First Tony Martin (Germany, below) displayed astonishing form when, as a solo escapee in stage six at the Vuelta a Espana, he came a mere dozen metres away from holding off the entire bunch on his own. He may not have been caught that day had Fabian Cancellara (Switzerland) not taken to the front in the final kilometre, and Martin’s arch-nemesis again got the better of him in stage eleven’s time trial, beating him by 37 seconds and winning the stage comfortably. A high-quality rivalry has been established in recent years between this pair, and 2013 could see the closest duel between them at the world championships. Cancellara appeared to have the edge at the Vuelta, but he claims his main aim is Sunday’s road race, making the time trial difficult to call. One rider who could yet spoil the party in America’s Taylor Phinney. Phinney won the silver medal last year – losing out to Martin by just five seconds – and, aged just twenty-three, looks to soon take over the mantle as world’s best time triliast. While Cancellara and Martin were showing their hands at the Vuelta, Bradley Wiggins (pictured, right) has been winning time trials elsewhere in Europe. First in August he beat both Cancellara and Phinney in the final stage of Tour of Poland, then last week won the Tour of Britain’s race against the clock en route to overall victory. He didn’t compete last year, but still showed his class against the clock by winning Olympic gold. This year, since pulling out of the Giro back in spring, he has made the worlds his primary target, and has every chance of winning his first rainbow jersey. 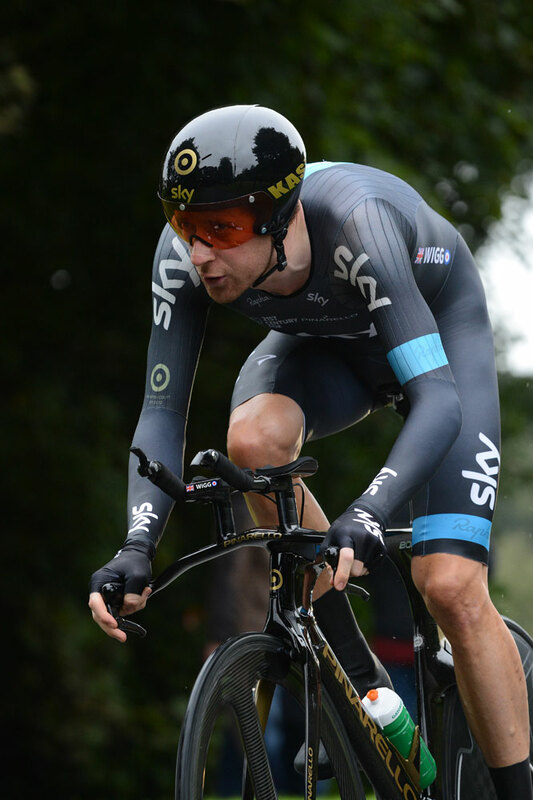 Despite his prowess, Wiggins is not actually Britain’s current time trial champion; that honour goes to 24-year-old Alex Dowsett. Dowsett finished an eye-catching eighth place last year and lines up again in Tuscany, but didn’t look in great form at the Tour of Britain, managing just fifth in the stage Wiggins won.